“Chigusa, with and without clothes,” by Leo. Allison Peck is head of public affairs and marketing at Freer|Sackler. 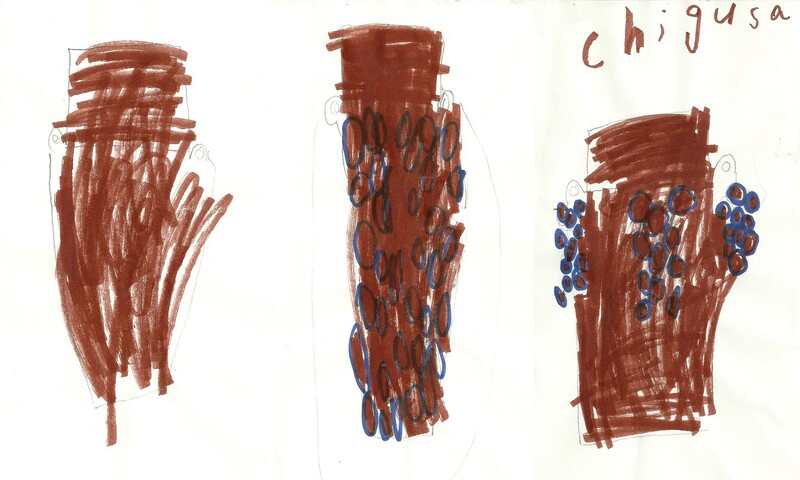 The renowned ceramic known as Chigusa recently added another chapter to its long and storied history, and the drawings of a six-year-old boy entered the permanent record of the Smithsonian Institution. Chigusa, a 700-year-old tea-leaf storage jar, is one of the most important objects in chanoyu, the Japanese art of tea. 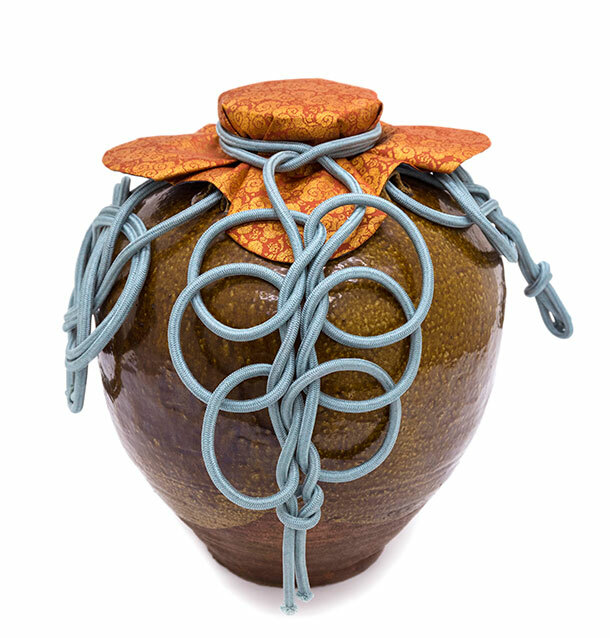 Acquired by the museums in 2009, the jar currently is making its U.S. debut in Chigusa and the Art of Tea, an exhibition that Leo, age six, visited with his mom earlier this year. Chigusa and the Art of Tea wasn’t designed as an exhibition to appeal to younger audiences, so we were astonished and a little bemused to receive an email (with the charming subject line of “Chigusa, with and without clothes”) containing Leo’s accurate crayon drawings of the tea jar in various states of ceremonial display. His mom, Amy, reported a similar feeling. Chigusa, dressed in its new mouth cover, secured with an ornamental knot. With that last sentence in particular, she unknowingly captured one of the Freer|Sackler’s most essential missions—to bring old things that have interesting stories to light, and then to step back and allow them to speak to visitors of all ages. He and Cort, curator of ceramics at Freer|Sackler, are requesting that Leo’s drawings and the story surrounding his trip and inspiration be entered into Chigusa’s permanent record in the Smithsonian database, making them accessible to future generations of researchers and curators. They’ve become the latest entry in that centuries-long tradition of Chigusa fandom, and Leo has become the littlest tea man. Chigusa and the Art of Tea remains on view in the Sackler through July 27. On October 11, the exhibition will open at the Princeton University Art Museum. Previous Post Previous Post: World Cup! Next Post Next Post: Happy International Sushi Day!